Autumn is kind to the outdoors. Crisp leaves in red and gold, light frost dusting the pavements and street lamps glowing in the early dusk. Why should all the autumnal glamour be outside? Welcome the change in season by filling your home with the perfect interior ambience to match the view from your window. Whether your style is traditionally rustic, polished modern or luxuriously period, The Lighting Company has a lighting solution that will instantly bring that cosy autumnal feel into your home. Here are some of our suggestions for creating a snug space for you to relax and watch the leaves tumble by on those darkening nights. Interior design is a changing landscape, just like the seasons outside. However, in 2015 the Stag trend is still rearing its antlers, with a heightened focus on pieces which incorporate natural elements such as handcrafted sculptures and country animals. Make sure you stay on-trend while cosying up your home by bringing these themes of organic, raw materials and rural craftsmanship into your home. 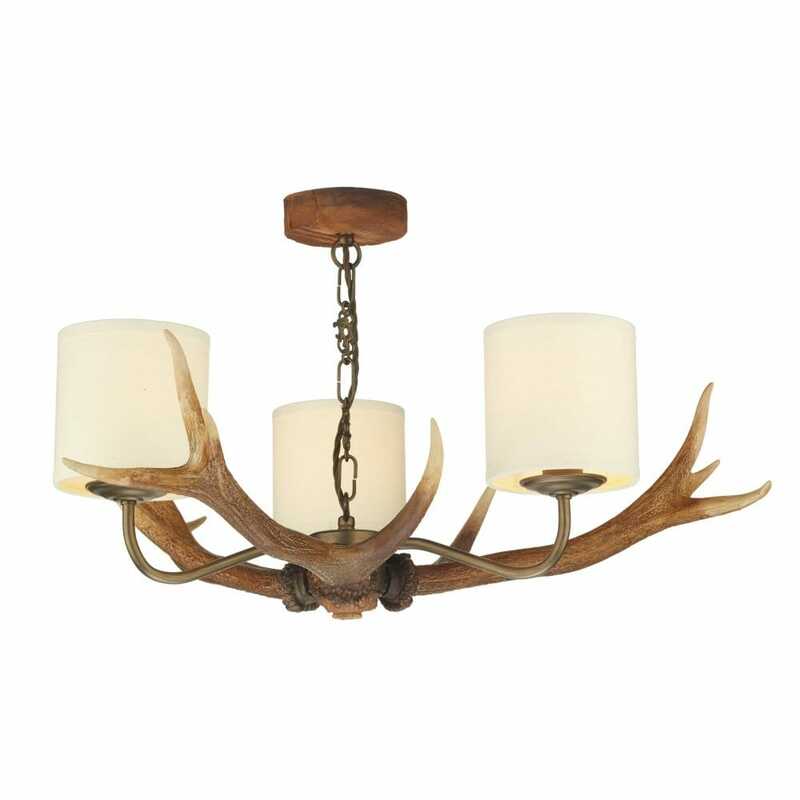 The best way to enhance your living space for the ultimate autumnal atmosphere is through a statement piece such as a stag antler ceiling pendant, easily transforming your rustic home into a traditional country retreat this autumn. The beauty of modernist interiors is that, due to their simplicity, they can be easily adapted to any change in season. Abstract designs reign supreme among modern autumn trends in 2015 and how best to get your home autumn-ready than by adorning it with pieces that reflect an abstract view of nature? 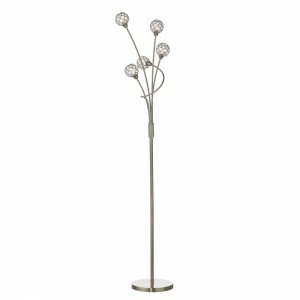 This modern floor lamp branches out like the autumnal trees outside, without leaving your floor covered in its leaves. 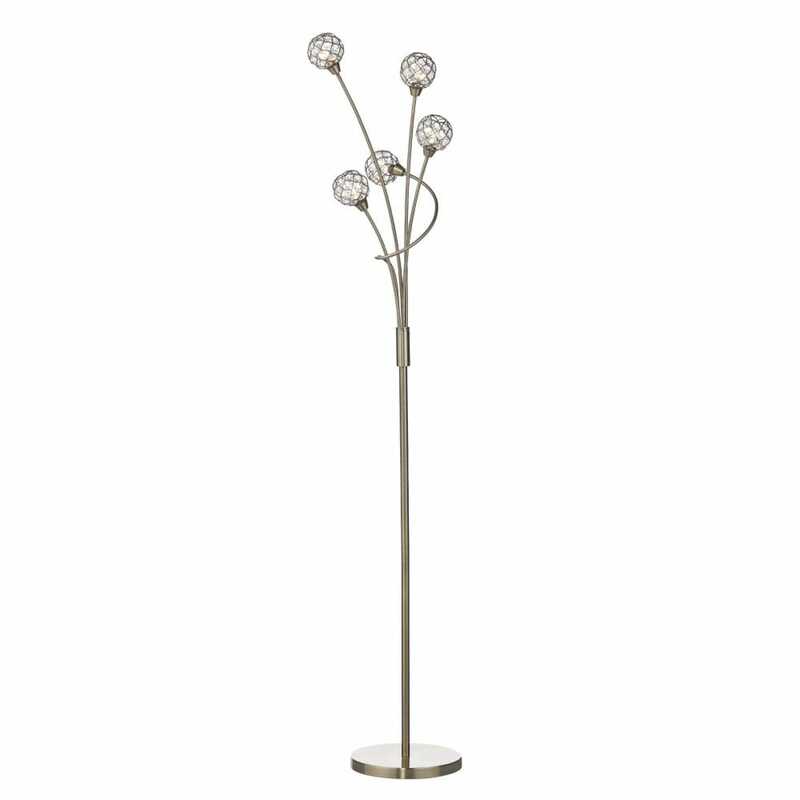 The simple antique brass finish complements both the clean modernist approach to interior furnishings and the warm colours of the season, making a floor lamp like this the perfect nature piece for your living room or bedroom. Blending classic style with on-trend chic is paramount for the perfect Period styled home. Autumn 2015 focuses on bringing vivid colours to interior design, so combining style with a splash of colour inspired by this season’s palette is the optimal way to create a cosy setting for enjoying your autumn evenings. Tiffany lamps boast beautiful pieces of coloured glass that mix rustic textures with classic period style. 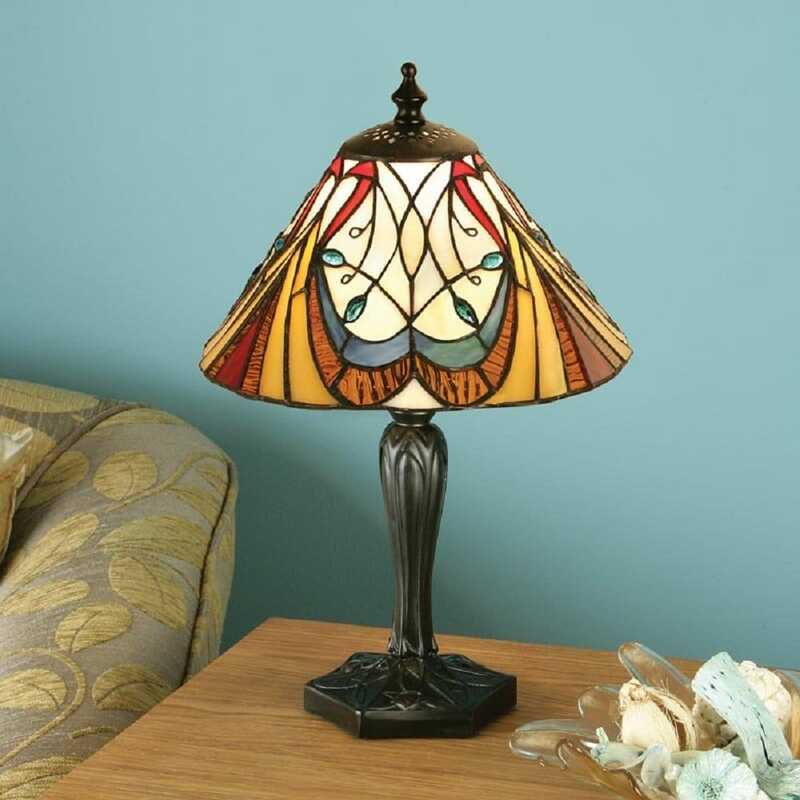 Choose a lamp like this one, with natural patterns and a warm metal base to enhance your on-trend Period home and make your home truly snug this autumn.